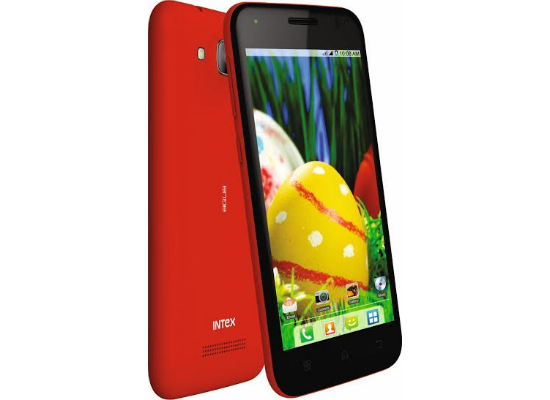 Intex is one of the rapidly progressing smartphone vendors that have been involved in making Android devices. After announcing the duo of KitKat based smartphones – Aqua i14 and Aqua N15, the firm has come up with yet another offering – Aqua Curve Mini priced at Rs 7,290. Like the other handsets in this price range, the Aqua Curve Mini is also a dual SIM phone that arrives with a premium finish and sleek look. The handset features a 4.5 inch FWVGA IPS Curve display boasting a screen resolution of 854×48 pixels. The device is powered by a 1.3 GHz quad-core processor of unspecified chipset that is coupled with 1 GB of RAM. To address the storage needs, there is 4 GB of native storage space that can be expanded externally further by another 32 GB with the help of a micro SD card. It packs an 8 MP primary camera with flash that has features such as panorama shot, continuous shoot, HDR, face beauty, gesture sensor, voice photo capture and live photo mode. For making video calls and to click selfies, there is a 2 MP front-facing camera onboard. Other goodies in the Intex Aqua Curve Mini include connectivity aspects such as Bluetooth, Wi-Fi and 3G and a standard 1,500 mAh battery. The handset comes pre-loaded with OTA , Opera Mini, Saavn and OLX applications.